Blondie West is the west side of a duplex on three living levels. 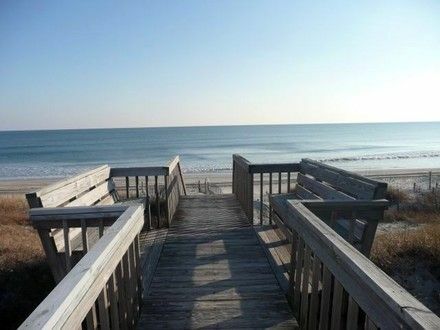 Located on a "back key" lot with a very short walk to the ocean via a PRIVATE walkway and dune deck. 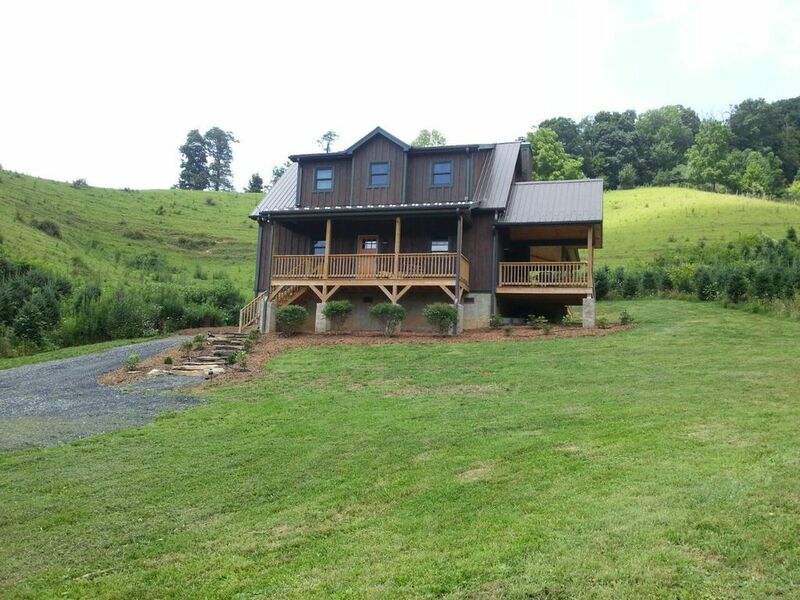 This home has ALOT of great amenities, INCREDIBLE views and continues to have families that return year after year for a memorable family get-away. 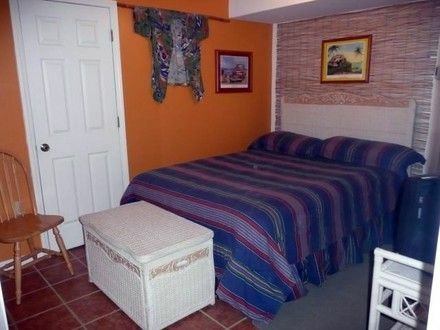 Don and Janice (owners of Blondie West) have remodeled and furnished BLONDIE WEST as a "home away from home." The "island feel" is designed for your comfort as your family and friends "kick back", relax and experience oceanfront living. 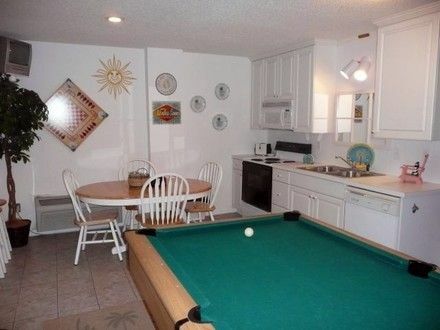 Ground Level – Self-contained apartment includes a den/game room with pool table, QUEEN bed, small dining area with full kitchen, full bath. 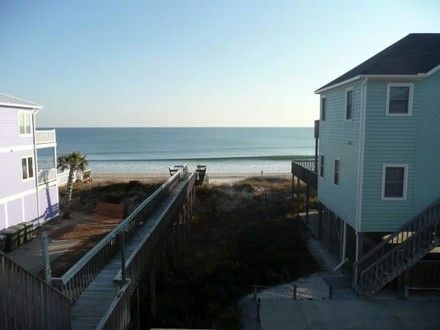 Level One – Ocean front master bedroom #1 has QUEEN bed, full bathroom and covered deck. 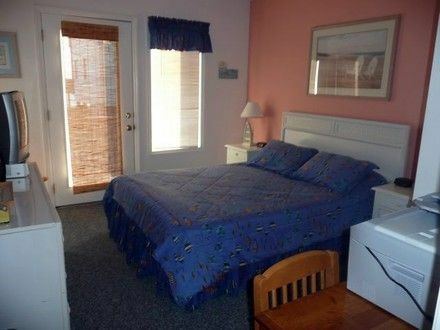 Ocean front bedroom #2 has a QUEEN bed and covered deck. 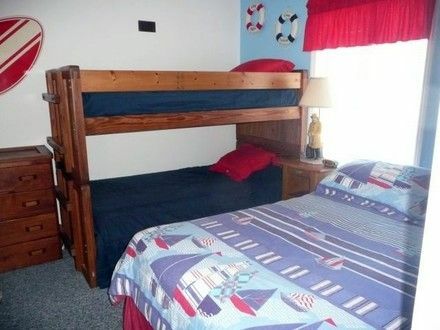 Bedroom #3 has a TWIN BUNKBED and a QUEEN bed in the same room. Full hall bathroom shared by bedroom #2 and bedroom #3. 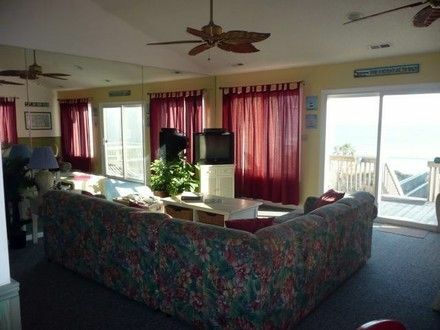 Level Two – Living area with open oceanfront deck, dining area, half bath and full kitchen. 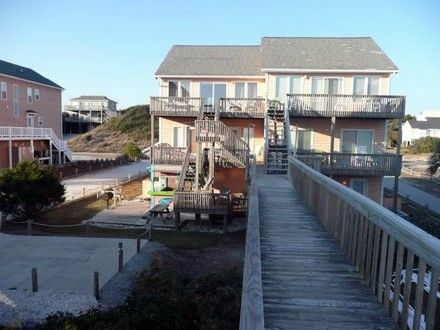 Level two includes open oceanfront deck with picnic table and street side deck off kitchen. 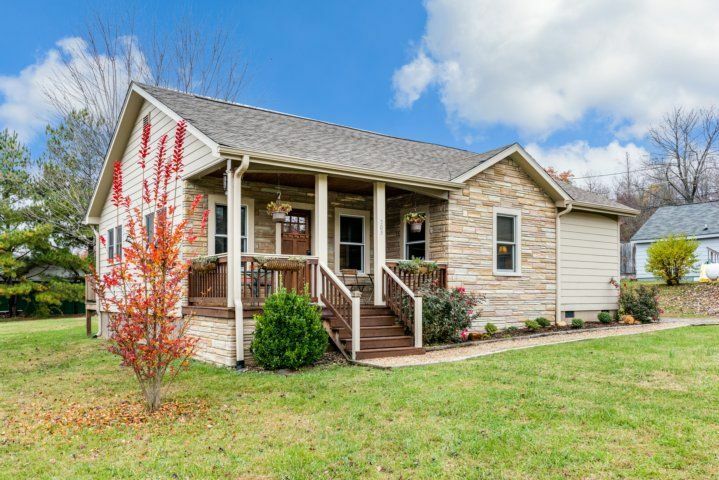 AMENITITIES INCLUDE: 7 TV’s, 6 DVD/VHS players, 2 CD players, TWO FULL KITCHENS, work desk w/ printer/fax machine, 2 highchairs, 2 porta-cribs, 2 picnic tables, booster seats, CUSTOM TIKI BAR, regulation horseshoe pit, park BBQ grill, deck furniture and beach chairs, enclosed hot/cold outdoor shower. LINENS PROVIDED IN PRIME SEASON NO SMOKING! NO PETS! Imagine waking up to the sound of the sea and the sun rising over the ocean as dolphin amuse you with their playful charm. Decisions at the beach? Which deck to sit on and enjoy your morning coffee? 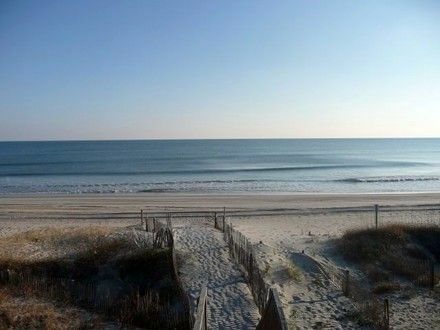 Stroll along the wide beaches or relax in a rocking chair with a good book (Blondie West has an extensive book library). It's just the beginning of another spectacular day at Blondie West where there's "not a worry in the world. Life is good today!" When you want to take a break from beach activities, enjoy a round of horseshoes on our regulation size horseshoe pit. Hungry? Thirsty? 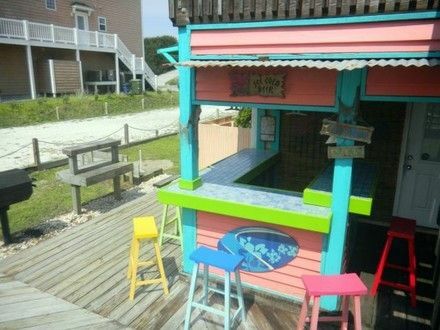 Fire up the large BBQ grill and have a drink at our custom built TIKI BAR. Newly expanded ground level sun deck w/ picnic table is easily accessible to lower level kitchen. 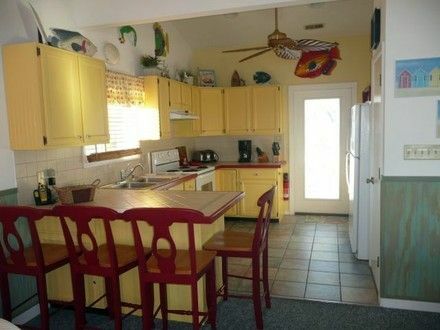 Blondie West has TWO FULL KITCHENS. The upper floor kitchen has a separate wine cooler with access to front and rear deck. For those that want to explore the island, there are plenty of activities away from the beach to please and accommodate everyone in your group. For the active: bicycling (rentals available on island), golf, kayak and boat rentals, mini-golf, amusement park, horseback riding, volleyball, water park, driving range, skating, off-shore fishing, kite-flying. For the sightseer and shopper: Waterfront Morehead City, Beaufort waterfront, Swansboro waterfront shops and antiques, Emerald Isle shops, North Carolina Aquarium and more. Want to try some local seafood? Don and Janice have compiled menus from various restaurants so that you can check out the menu before you go. Ice Cream at the beach? Emerald Isle has several ice cream parlors and if you want ice cream at home, Blondie West has provided your own banana split bowls!!! As the sun sets, the Blondie West TIKI BAR remains open! 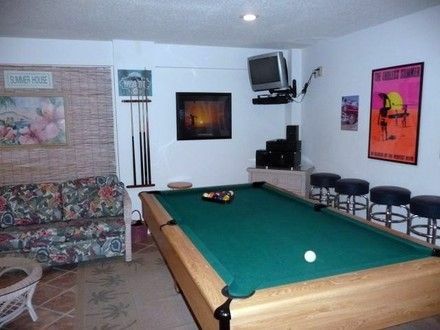 Let the games begin in our game room that contains a pool table, game/card table and numerous board games. What about a movie? Blondie West has an extensive DVD/VHS library. 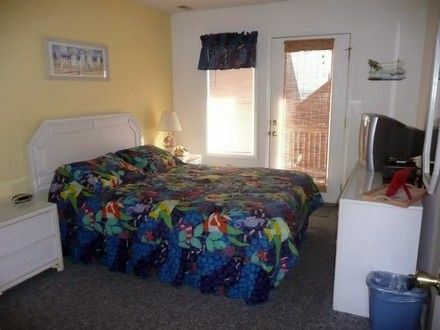 Each bedroom has its own TV/DVD/VHS player. 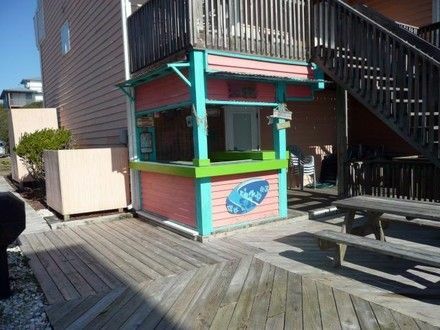 One of our most favorite places at Blondie West is our dune deck. Unwinding with a cocktail as we watch the breathtaking sunsets change to a blanket of shimmering stars. Here ends another great day at the beach! 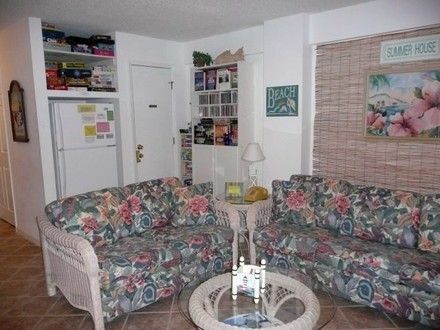 If you have to bring work to the beach, Don and Janice have provided a small desk with a printer/fax/copier, wireless internet access and FREE long distance service. 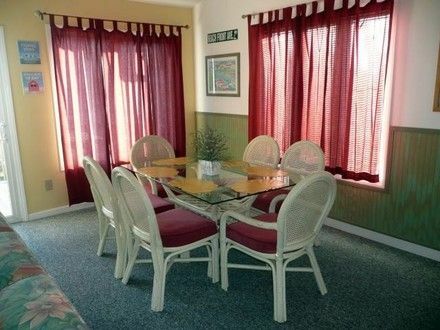 Feel free to call or email your friends from our home and tell them about your GREAT vacation at Blondie West! Blondie West is a non-smoking Sunday - Sunday rental. Linens are included PRIME SEASON.